Stop wondering about important things concerning your automatic garage door, but read this section to get the information which you need. This page provides detailed answers to some of the most frequently asked questions in the overhead door industry. Expand your knowledge now to enjoy a multitude of benefits later. I spotted a bent part! Should I consider garage door replacement? Not necessarily – only consider garage door replacement when the problem becomes too big to handle. In this case, it depends on which part is bent or broken. If the part can be replaced, then that is generally the best way to go. Do wind load requirements differ among regions? All wind load garage doors should be strong in terms of materials, reinforcement with bars, extra bracket support, and low gauge garage door tracks. Though, each region has different laws. Pay attention to the local wind load and building code requirements. What is the best indication that I need door repair? Our experts at Garage Door Repair Peabody advise that the best indication for repairs is when you need to exert a lot of force just to close the door. 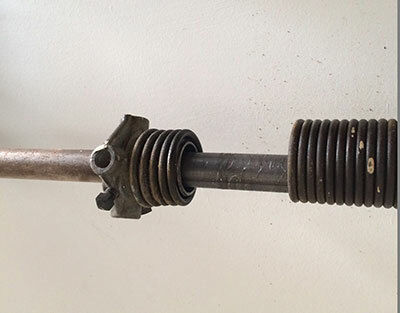 Try to oil the garage door parts first to see if this can make them move smoothly. If this fails to work, then your garage doors might just be due for checkup. Can I do the replacement or adjustment by myself? 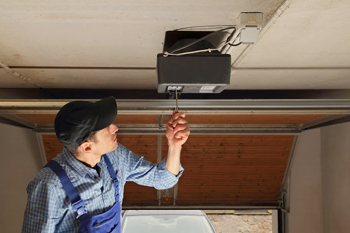 Garage door cables, springs and all the hardware are always under undue tension and can cause serious or fatal damage or injury to you and your family. This is the reason why it is advised that only qualified technicians should be allowed to replace or adjust the doors. Why are the lights on the safety sensors blinking? The most common cause is misalignment of the two devices. Adjust the photo eyes so they face each other perfectly. Alternatively, the issue may have to do with the power supply. If the sensors are wireless, immediate battery replacement is required. If these solutions do not help, repair or replacement is needed. What type of lubricant should I use for the garage door hardware? The primary requirement is for it to be light. You should refrain from using grease. The lubricant must not attract dirt to work properly. It should not get sticky after a while. The product should not harden when the temperature drops. The good news is that it is easy to find a product which meets all of these requirements.